Inbound marketing is an ROI unicorn. Unlike traditional outbound marketing, the effectiveness of your inbound marketing efforts can be easily tracked. In fact, that’s what makes inbound marketing so powerful. And once measurements are being taken, improvement and optimization are much easier hills to climb. The premise of Inbound Marketing is simple; rather than shouting your brand message at people through traditional advertising (outbound) and hoping it works, you can create content that your customers seek out on their own (that can be readily monitored). Not only are you creating things your customers want to interact with, but you can also usually do it with less cost and higher engagement. That’s exactly why it’s impossible to talk about inbound marketing without discussing analytics. You need to be sure the content you’ve been putting out there is actually working and attracting the attention you want. There is a method to measure almost every digital activity now from what type of mobile device your web users typically have to what age demographic they are. There’s so much information available now its kind of overwhelming. Luckily, you don’t always need all of it. Delighting audiences with engaging, helpful content. For more information on setting specific goals for your inbound marketing program, check out this article. 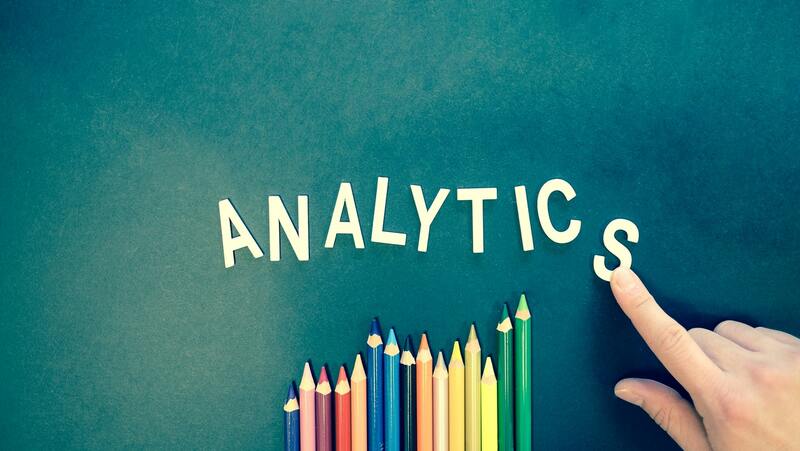 Analytics can be a vital measurement tool but also a deep, dark rabbit hole. Look for trends, measurable insights, and try your very best not to make assumptions. Can you be sure that blog post performed better because of the content or has it simply been on your website longer? Reviewing analytics is science, not horse betting. Web traffic is a stat that is frequently discussed and for good reason— if your focus is digital marketing than your web traffic should be improving year over year. I say year over year specifically because month to month isn’t usually indicative of real growth trends. Many B2B businesses will have slowed traffic in December and during the summer months when many contacts go on vacation. For this reason, it’s best to compare the same months against each other (for example June 2017 vs. June 2018). There are many factors that play into organic traffic but if you’re consistently publishing content that relates to the needs of your users, you should be seeing traffic growth. Organic traffic generally has a higher conversion rate than paid as its users seeking information that relates directly to your product or service. According to HubSpot organic SEO is about 5.66 times better than paid search ads. How well your traffic converts to leads is highly indicative of the effectiveness of your current inbound tactics. To put it more simply, if your web visitors aren’t becoming contacts than your calls to action (CTA’s), or landing pages, aren’t doing their job. You might be creating high-quality content and seeing great results in your traffic but if CTA’s aren’t performing, your traffic isn’t going to produce net new leads. Your CTA’s aren’t matched properly to the content. CTA’s need to be at the right place, during the right time in the customer journey. If you were a homebuilder and you placed a “contact us for pricing” CTA on a blog about things to consider before shopping for your first home, it would be like bringing an engagement ring to a first date. Create informational premium content offers to target marketing qualified leads, and save the bottom of the funnel pitch for pricing pages and other sales qualified areas. You don’t have CTA’s where your users are. Try installing a traffic monitoring service like HotJar to see some areas of high traffic on your website where a helpful CTA could be placed. The CTA’s you do have aren’t engaging or descriptive. Creating CTA’s that entice a reader to click on them is an art form. You need to consider placement, visual images vs. text, wording, and even colour palette. Try A/B testing your low-performance CTA’s to help diagnose the problem, switching out one element at a time to finally figure out what the change needs to be. A good traffic to lead percentage to aim for is roughly 2%. That might not sound like much but if your website traffic is even 2000 users a month, that’s 40 new contacts every month. Here at Everbrave, we’re big HubSpot fans and not just because we’re inbound believers. It’s also because of how much more you can measure the performance of your marketing program by tracking sales with the same platform. Knowing how many of your customers came from online sources is big. Knowing how much of your revenue was generated from online sources is huge. A website can be a lead generating machine but if you aren’t tracking what happens to leads after they’re created, then it’s hard to measure the financial ROI. Knowing lead-to-customer conversion rate is also a good opportunity to connect with the sales team to make sure they have the tools they need to handle online leads. HubSpot offers a calculator here to let you know how your lead to sales conversion rate is comparing to others in your industry. Email click rates refer to how many people click on the link or CTA in your emails. They can show a lot about how leads are being nurtured and how your existing customers are turning into promoters. Emails are a special chance to speak directly to your contacts, and often times this opportunity is missed by speaking too broadly. Low email click rates can mean that you either aren’t targeting your emails by ‘persona’ enough, or you aren’t creating content that interests them. When a contact opens an email, they’ve invited you in. They were interested in your subject line and you’ve got their attention for a small period of time. How you convince them to want more depends on your ability to tailor content to interests. The average click rate of emails is 2.43% according to MailChimp. To see specific email benchmarks based on industry, see the full chart here. Tracking marketing through analytics is how you measure if your current tactics are working or not. Analytics don’t always directly show what causes their spikes and drops, make inferences where you can but try not to make assumptions. Your organic traffic should go up year over year but don’t try to measure each month over the last. Different times of the year will have slow periods depending on your industry. If traffic to lead rates aren’t 2% or higher, it’s time to examine how effective your CTA’s are. Knowing your online lead to customer conversion rate is the best way to connect the dots and figure out the revenue generated from your online marketing. It’s also a good way to see how well your sales team handles online leads. Email click rates come down to two important things: how well are you targeting your emails to specific personas, and how compelling your copy is. There are so many other stats to measure but by and large, these four will help you to get a strong understanding of how effective your inbound marketing efforts are. Don’t feel defeated if these have been something of a reality check, inbound marketing is a slow and steady growth over time. Small changes and improvements can lead to big growth in the long run. Want to learn more ways to set and measure marketing goals? 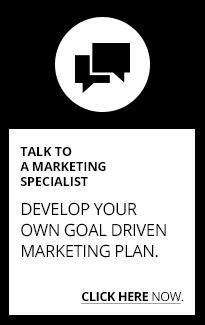 Download our free SMART Goals for Marketing Worksheet!